As we’ve all learned by now…It is important to have a solid farm system. When your stars get hurt, to have the ability of bringing in young guys that can immediately makes an impact is what’s leading this team to the best record in baseball. The Dodgers’ farm systems had a bit of a rough day yesterday, losing 2 out of 3, but we can still do what we always do and take a look at what our young stars did. As always, feel free to click on any players name to learn more about them. The Albuquerque Isotopes lost to Ryan Spilborghs and the Round Rock Express, 9-2. Trent Oeltjen went 1 for 4 with a a homerun and a strikeout. Jerry Sands went 1 for 3 with a walk. Alex Castellanos went 0 for 4 but turned two double plays. Scott Van Slyke went 2 for three with a double and also scored a run. Aaron Miles went 0 for 3 with a fielding error. Michael Antonini had a bit of a rough outing going just 2.1 innings allowing 8 runs (7 earned) on 10 hits. The Rancho Cucamonga Quakes lost a tough one to the Lancaster JetHawks 3-2. Jon Garcia went 2 for 4 with a homerun and 2 RBI’s. Michael Pericht went 0 for 3 with a walk and scored a run. Zach Lee had a strong outing for the Lookouts as he went 5 innings, allowing only 2 runs on four hits with three strikeouts. Jesus Arredondo went 2 for 4 with a triple and scored twice. O’Koyea Dickson went 1 for 3 with a double, and RBI and also scored a run. Scott Schebler went 3 for 4 with two doubles, a homerun and 3 RBI’s. Pedro Guerrero went 0 for 3 with a strikeout. Yimi Garcia pitched the ninth inning and allowed one hit and no runs on his way to his 11th save of the season. 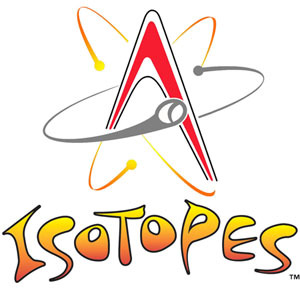 Albuquerque Isotopes defeated the Oklahoma City Redhawks 7-4. Tim Federowicz went 3 for 4 with two doubles and a run scored. The ‘Topes finished with an incredible nine doubles on the day. John Ely pitched six innings, allowed 2 earned runs while striking out seven to get his fourth win of the year. Josh Wall pitched a 1-2-3 ninth inning to earn his 11th save of the year. Chattanooga Lookouts lost a run fest with the Jacksonville Suns 13-10. Nathan Eovaldi was able to bring the Sun’s runs to an end in the sixth inning by striking out the side and ending Jacksonville’s momentum. They wouldn’t score again in the game. Jon Michael Redding pitched six complete innings allowing only one earned run and striking out eight earning his second win of the year. Jesse Bosnik went 1 for 4 with a single that would end up scoring a run on a throwing error. Joel Lima pitched 3.2 innings only allowing one hit and no earned runs. 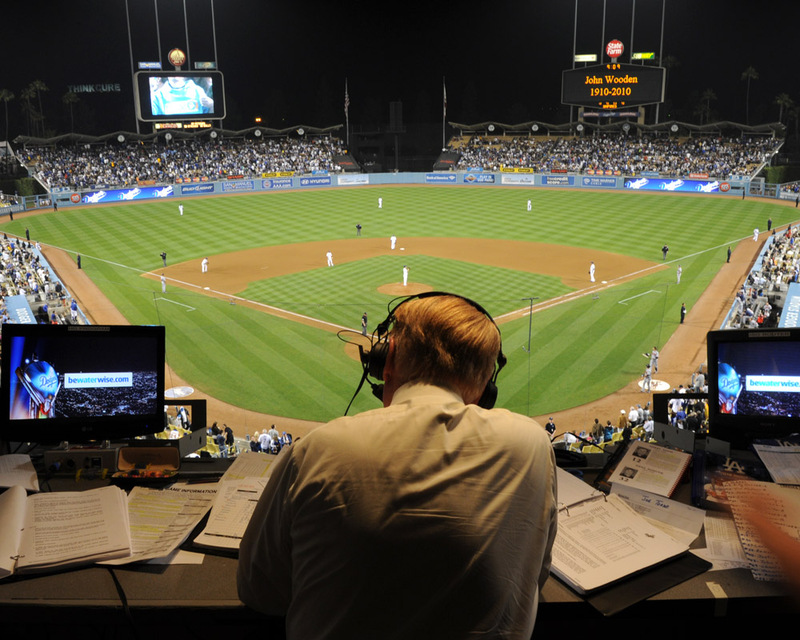 Let’s take a look at the future stars of the Dodgers, and dip into the minor leagues. Be sure to click on any players name to find out more information on them. Aaron Miles went 0-5 on the day, and grounded into a double play. Tim Federowicz went 0 for 4 with two strikeouts on the day. Brian Cavazos-Galves went 1 for 3 with a walk. Jeff Baisley and Luis Cruz also homered on the day. Blake Johnson pitched two innings, struck out two and didn’t allow a run on his way to the victory. He also helped his own cause at the plate, by hitting a walk-off single to center field that scored Nick Buss. Rancho Cucamonga Quakes lost to the Lake Elsinore Storm 13-2. Ryan Acosta pitched 1.2 innings, while giving up 2 earned runs on 3 hits. Great Lakes Loons defeated the Bowling Green Hot Rods 9-6. Pedro Guerrero went 2-4 with a triple and a grand slam. Jesus Arredondo went 1-3 with an BRI and a walk. Ryan O’Sullivan went six innings, giving up 4 earned runs and striking out six on his way to the victory. Yimi Garcia recorded his seventh save of the year striking out one in the ninth. Stan Kasten is very adamant about rebuilding our farm systems and bringing the original Dodger tradition back to LA. The Dodgers were always well-known for their strong farm systems until some years back. Now, with new ownership, the Guggenheim Group looks to get back to the way things were. Let’s take a quick look around the farm leagues, shall we? You can also click on any players name to learn more about your future Dodgers. The Albuquerque Isotopes won today 9-7. Ivan De Jesus went 2 for 4, with a double, an RBI, a run scored and two strikeouts. Jerry Sands went 2 for 3, with a double, a homerun (his fourth on the year). Also knocked in 4 RBI’s and scored a run. Tim Federowicz went 0 for 4 on the day with 2 strikeouts. Josh Wall pitched one inning, allowed one hit, with no earned runs and no strikeouts. The Chattanooga Lookouts lost 9-0. Jake Lemmerman went 2 for 4, with two doubles, a walk, two strikeouts and committed an error on defense. Pedro Baez went 0 for 2 with two walks and a strikeout. Blake Smith went 0 for 3 with a walk and a strikeout. Gorman Erickson went 0 for 1 with three walks and a strikeout. Allen Webster pitched three and a third innings allowing seven hits and giving up nine runs (7 Earned Runs). He also walked two and had three strikeouts on the day. Steve Ames pitched a perfect inning allowing no hits and no earned runs with a strikeout. The Rancho Cucamonga Quakes lost 2-1. Leon Landry went 2 for 3, with a walk and a stolen base. Joc Pederson went 2 for 3 with a walk. Scott Wingo went 0-1 on the day. Garrett Gould had a quality start, going six innings, allowing 3 hits and an earned run. He also walked four and struckout two. The Great Lakes Loons won 2-1. O’Koyea Dickson went 2 for 3, with a double and was hit by a pitch. He also committed an error. Scott Schebler went 2 for 4, with a run and strikeout. Ryan O’Sullivan also had a quality start today going six innings, scattering two hits, giving up just one run (unearned) a walk and a strikeout. Eric Eadington piched an inning and a third, giving up no hits, no runs and two strikeouts. Check back for more updates on all of your Dodgers affiliate teams! Also, be sure to like our Facebook and Twitter pages!